Home » Blog » Survey Panels » How to Make Money Online with Paid Surveys? Membership is always free and can be done by simply filling out the registration form. The form is usually in few steps where the questions may ask for personal, contact and household information. So that relevant surveys can be sent to members. Participants will receive a confirmation email after submitting the registration form. Once membership is confirmed, members can be able to access their personal page and complete profile surveys. Members can start earning immediately just by completing online surveys. It does not require any special skills to complete a survey and it can be taken anytime, anywhere during the survey period via PC, Laptop, Tablet and mobile phone. Rewards are what you received from survey panels for spending time and responding to surveys. Rewards are received in the form of points which can be redeemed in the form of e-vouchers and other stuff offered by survey panels. Reward amount depends on survey length. How to Find the Legit Survey Panel? At present, so many survey panel websites are available that offer makes money online, but all survey panels are not legit. If you join those survey panels without proper checking, you might face so many problems. So we need to investigate about survey panel before joining them to avoid work from home scams. Check it out this post, I clearly explained how to investigate about any website to avoid work from home scams. 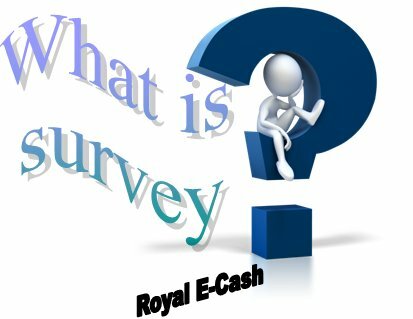 All survey panels are not a scam but we need to find the legit website in order to start earning. Let’s check how to find the legit survey panels. Legit survey panels never request for joining fees. They never ask for sensitive information. Register for a free account and start earning immediately just by completing the surveys. Even if it’s risk-free, you want to make sure your efforts are worthwhile. Hope this post helps you. Let me know which survey panel you’re using by commenting here.